“Naked Skydiving” Now Available @ Verbatim Books! 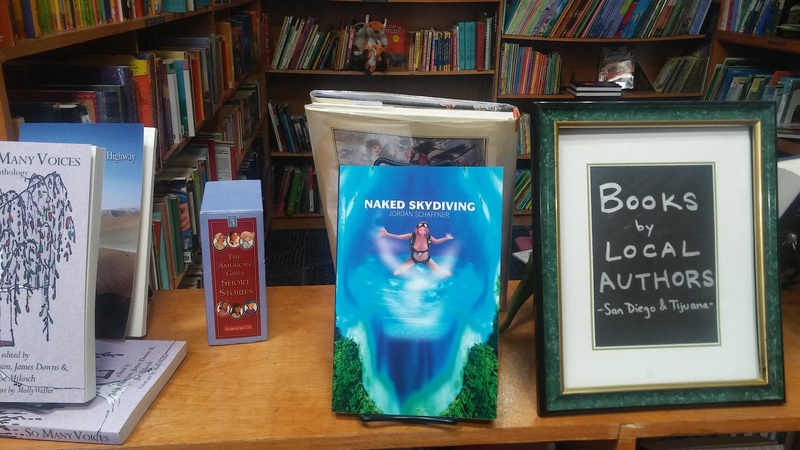 Get a signed copy of my autobiographical novel, “Naked Skydiving,” based on the true story of the personal life of a dream interpreter, travelling through the west coast before 9-11, now available in the San Diego local author section at Verbatim Books, 3793 30th St, San Diego, CA 92104. 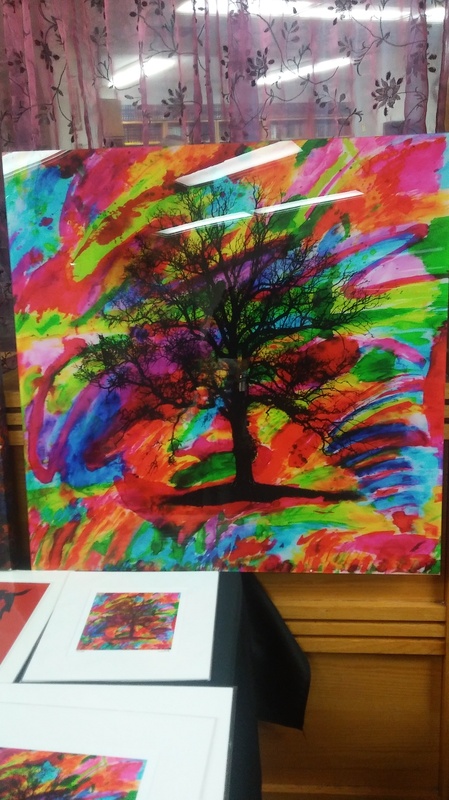 Verbatim is a great, open minded space to get zines, modern fiction and classics, in a cool, artistic area of San Diego without that Barnes and Noble Big Box corporate mall feeling. They even have a poetry night once a month. So you can read your work there too! However, if you’re looking for a bookstore with Wi-Fi, as the cashier, Nick, who’s a great guy, agreed with me, they want you to read books here, like you did in your old college bookstore. Not be on the internet. Maybe even heaven forbid, buy a few. Authors can sell there books on consignment too and get 60%. Just ask their cool staff members. Not many chairs here to sit down, but it’s a great literary hangout! 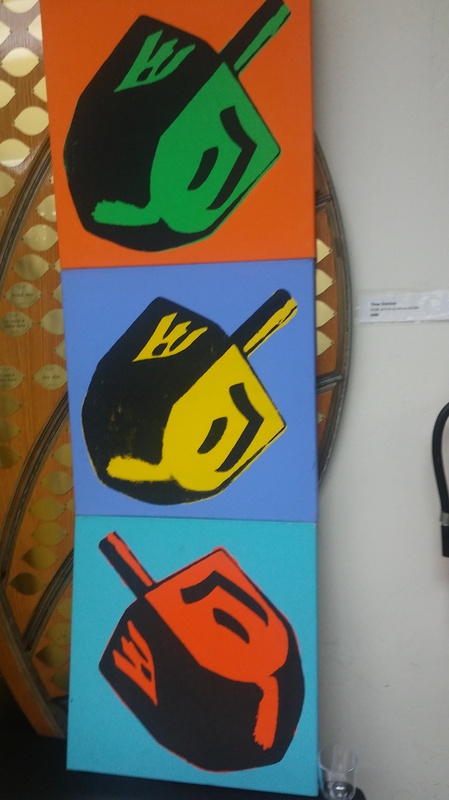 A few months ago,I went to an art exhibit at Chabad of University City and saw these magnificent artworks , some like this picture of hamantashens, which are Jewish cookies, resembling a Warhol painting. 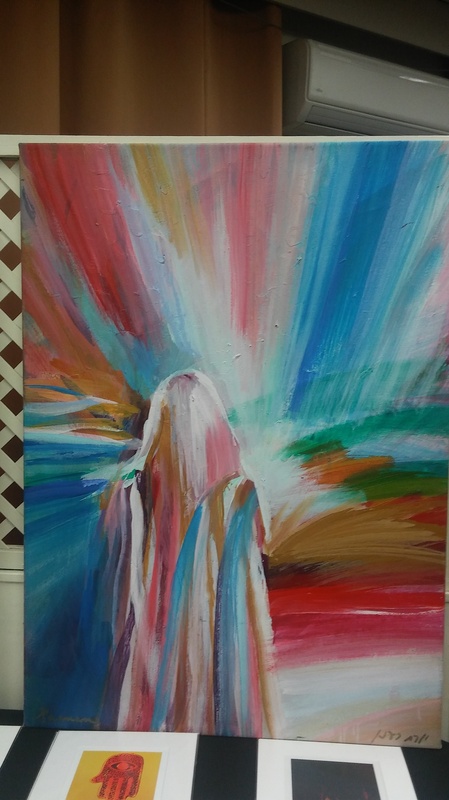 Most of his work is brightly colored like this, giving his religious subjects an ecstatic feeling. Here is dreidel, a Jewish top from a Hannukah game. This is the Etz Chaim, The Tree of Life. Moses looks upon the promised land and a few other samples of Yitzach Moullie’s work, are featured in front of him. 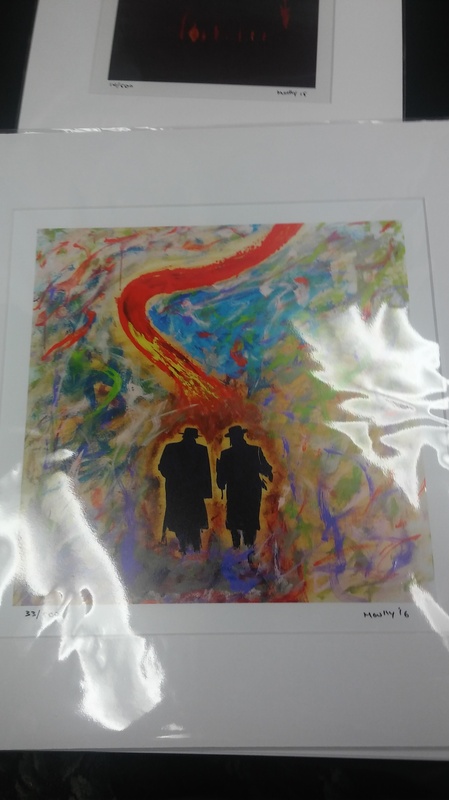 Yitzach Moullie is a fantastic artist, an ebullient rabbi, and also a real mensch.